Looks gorgeous! Please let us know if you have any bleeding with the jeweled magenta. That would be a deal breaker for me - otherwise I'm getting one!! I echo anon@ 4;08 too - please keep us posted re: bleeding. How the thickness of the fabric? Is it sheer? Love the magenta Swiftly color! 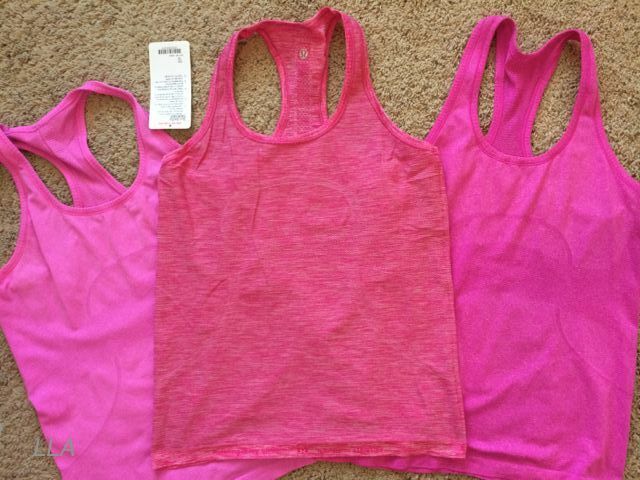 The Swiftly racerback is too short for me, so hopefully they make a SS in this color. I ordered the CRB, but I like the Swiftly so much more. Any chance of seeing a comparison to Pinkalicious? I feel like those are in a similar family as well...thanks :)! 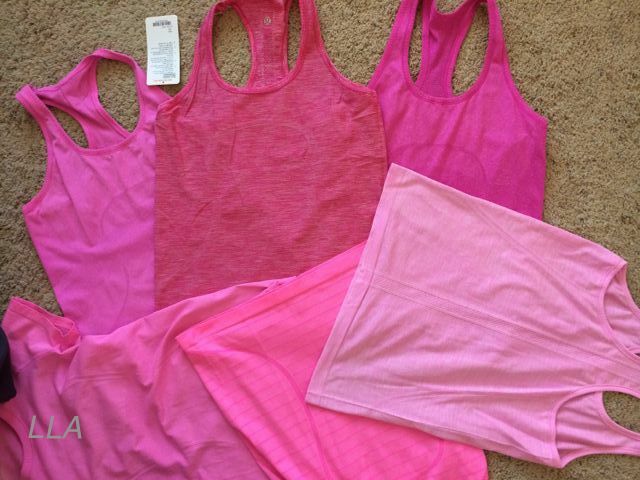 That's a lot of pink! 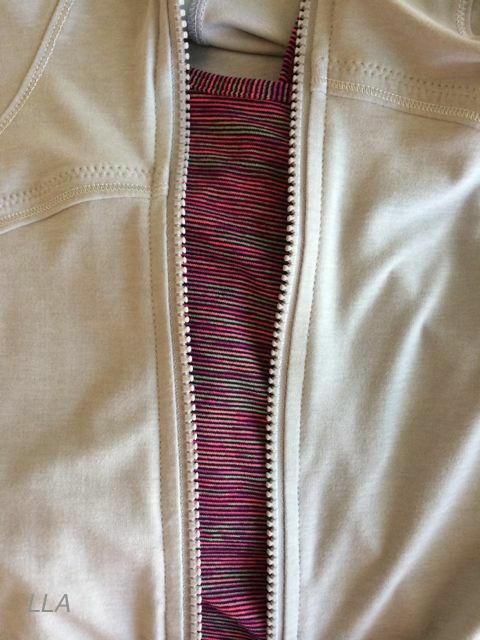 I have one Paris Perfection CRB to match my Paris Pink Define and I got the vintage pink swiftly racerback on sale. That is pink overload for me lol, it's like wearing red. I really have to psych myself up to wear pink or red. I like March WAFS but this jewel WAFS is nothing like that. wow LLA I'm having swiftly envy over here. The magenta color is really nice. I love warm pinks. @ anon 5:39 pm - The jeweled Magenta Swiftly is opaque. Only the lighter colors in Swiftly tend to be see-through.